It may surprise you to learn that corned beef and cabbage is not as traditional an Irish dish as you may have thought. 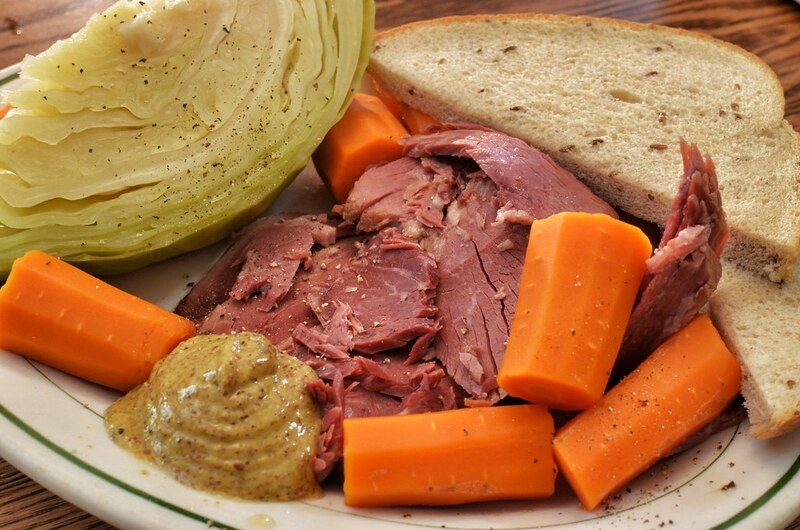 Although it’s a signature dish of St. Patrick’s Day celebrations, the Irish ‘tradition’ of corned beef and cabbage is actually more Irish American than just Irish. Beef was considered a luxury in Ireland for many years, and was not accessible to the general (poor) population. This, despite the fact that Ireland was exporting tons of corned beef to the rest of Europe. Instead of corned beef and cabbage, the Irish typically made the dish with ham. When they emigrated to the United States, however, everything changed. Corned beef was actually the most affordable meat they could find, so corned beef and cabbage became a very common Irish American meal. There is also speculation that Irish Americans gravitated to corned beef because of its similarity in texture to bacon/ham, and they could easily get plenty of it from a neighboring immigrant community that didn’t consume pork products. Corned beef was a staple in the Jewish community, which was in close proximity to the Irish in New England. Another story is that eateries in New York during the early 20th century would offer a free meal of corned beef and cabbage to Irish construction workers who flocked to the bars after the work day. At Wilde Rover, you can get your Corned Beef and Cabbage fix with our wonderful slow-roasted corned-beef brisket, which is served with savory bacon-braised cabbage, fluffy whipped potatoes and a rich bourbon-stone ground mustard cream.